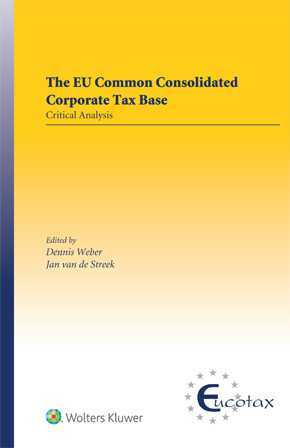 The EU Common Consolidated Corporate Tax Base: Critical Analysis serves as a guide to the major development in EU tax law, the Common Consolidated Corporate Tax Base (CCCTB) proposal. In October 2016, the European Commission relaunched its plan to harmonize national income tax systems via the CCCTB by introducing a single set of rules to calculate companies’ taxable profits in the EU. This timely book offers an early analysis of this important proposal and its implications, covering issues such as the project’s scope and main elements, international considerations, the relationship with OECD’s base erosion and profit shifting (BEPS) initiative, consolidation, and anti-abuse rules. Because of the commitment of many Member States to keep their corporate income tax systems competitive on a stand-alone basis, the proposed CCCTB is enormously controversial and is perhaps the most ambitious reform of EU tax law ever attempted. As a detailed assessment of the reform, this book provides authoritative insights into problems likely to arise and discusses the prospect of how to implement the proposal. Thus, this book proves to be of immeasurable value to taxation policymakers, practitioners, and academics to apply this reform confidently across international boundaries. Tax Competition Within the European Union Revisited: Is the Relaunched CCCTB a Solution?